The body of a still-unidentified man showing signs of torture was discovered by authorities along the national highway in Cebu. Police found the remains wrapped in a garbage bag and packaging tape around 4 a.m. on Monday, the Inquirer reported. Upon removing the tape and bag, police said there was a rope around the victim's neck and a piece of cloth was used to gag his mouth. He was also hogtied. Aside from this, they noticed that the victim, estimated to be between 40 to 50 years old and had shoulder-length hair, was wearing women's clothes, including a bra and blouse. 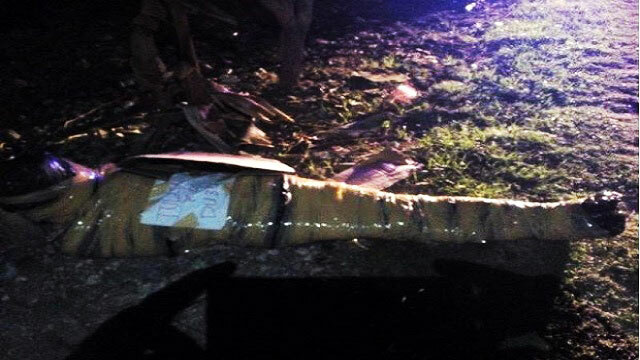 The only clue left for investigators in the crime scene was a piece of paper found on the body which had "Tulisan Ko! DU30" handwritten on it. "DU30" is a play on President-elect Rodrigo Duterte's surname which his camp and supporters actively used during the campaign period. Duterte is known for his tough stance against crime and his public statements that seemingly approve of extrajudicial killings. Authorities are already conducting an investigation to determine the identity of the victim and the possible motive for the crime.